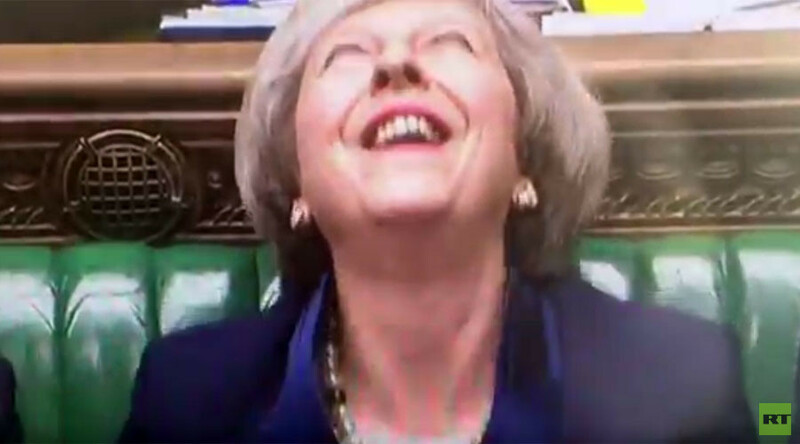 Social media exploded when UK Prime Minister Theresa May was filmed laughing “maniacally” during Prime Minister’s Questions on Wednesday afternoon. Footage of the PM’s shoulder heavy laughter caused some to question what had possessed May while Labour leader Jeremy Corbyn was speaking. "The stuff of nightmares," commented pop star Lily Allen. I never want to see May laugh like that again. “I am well and truly terrified of our Prime Minister,” said one Twitter user. The PM’s high spirits continued, as Chancellor Philip Hammond presented his Spring Budget.